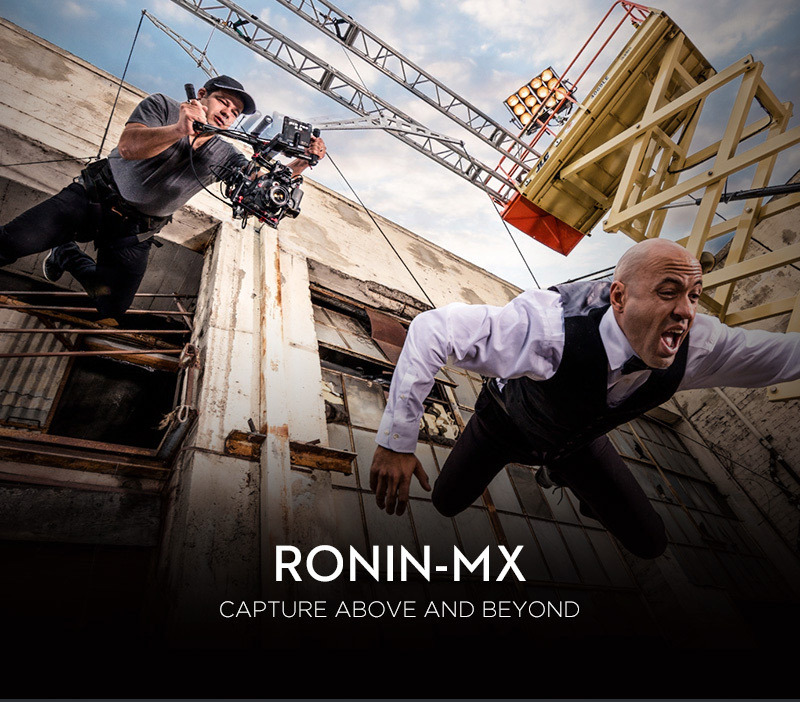 The Ronin-MX is compatible with all cameras that are compatible with Ronin-M. 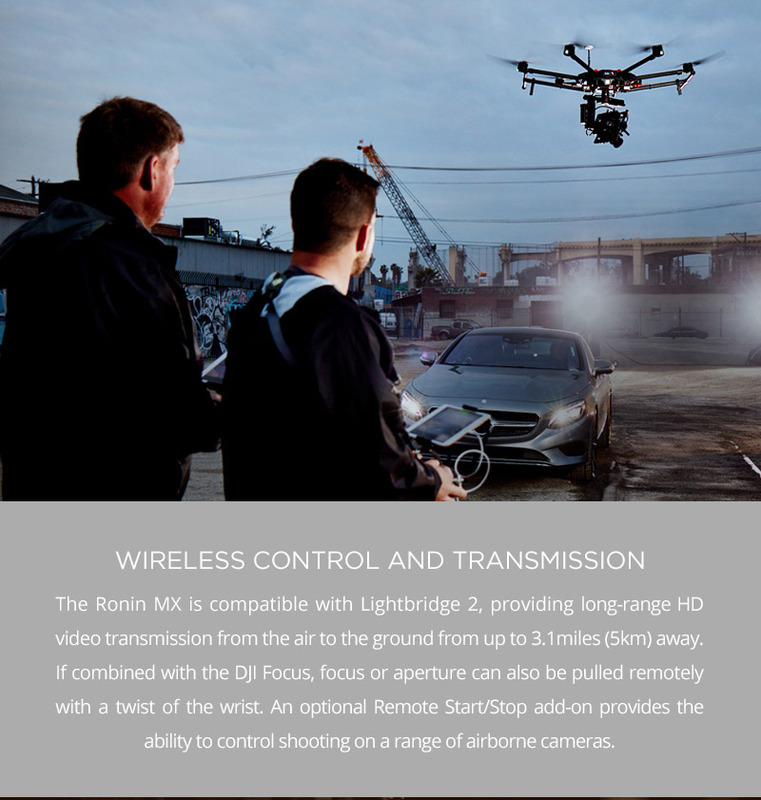 It has also been tested with a range of cameras from large ones like the ARRI ALEXA Mini, RED Dragon, Red Raven, Canon 5D, down to smaller cameras such as the Panasonic Gh3. 1. 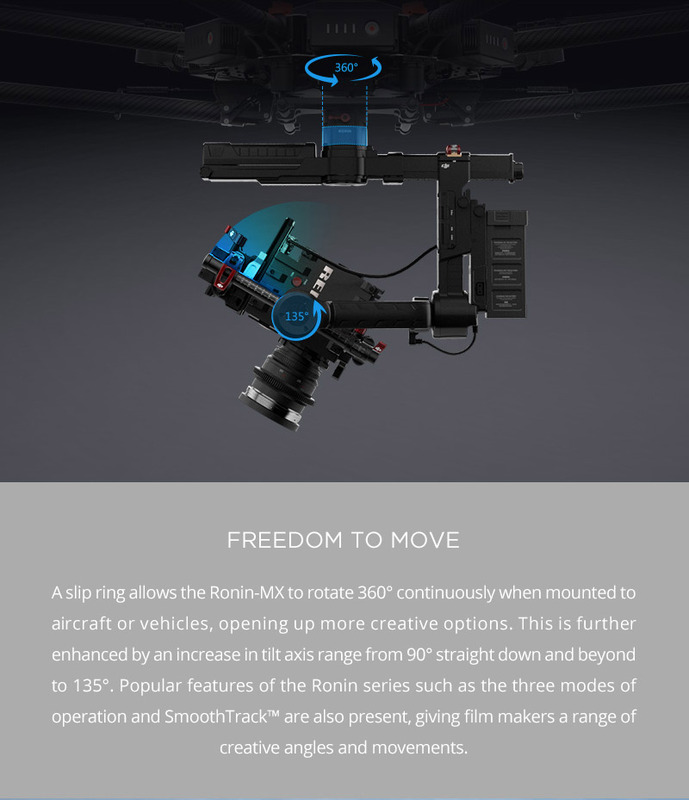 When used with the M600, is it possible to configure SmoothTrackâ„¢ and other settings for the Ronin-MX within DJI GO? Yes. 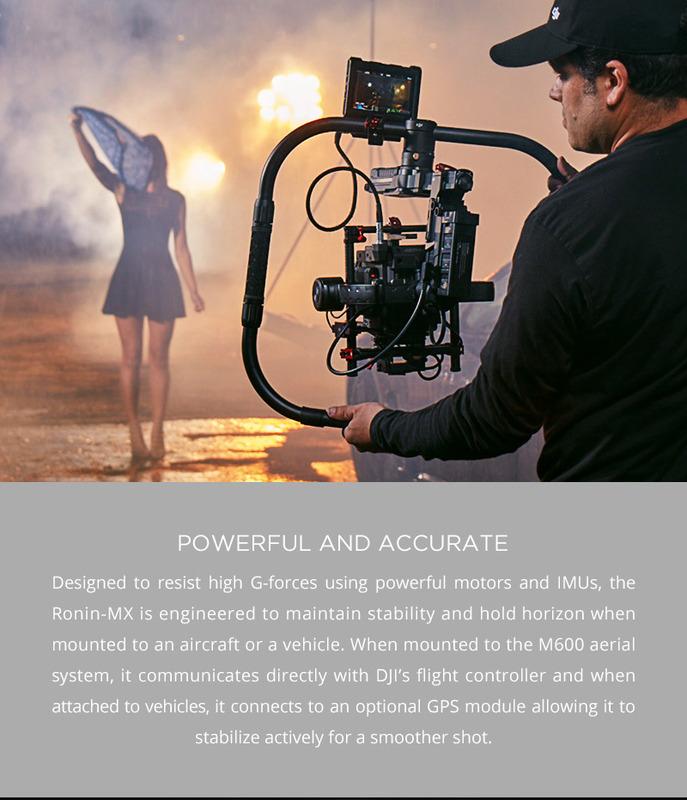 Other than controlling the M600 and its Intelligent Flight Modes, remote control modes and seeing the camera’s live HD view, you can adjust the Ronin-MX’s SmoothTrackâ„¢ settings through DJI GO. 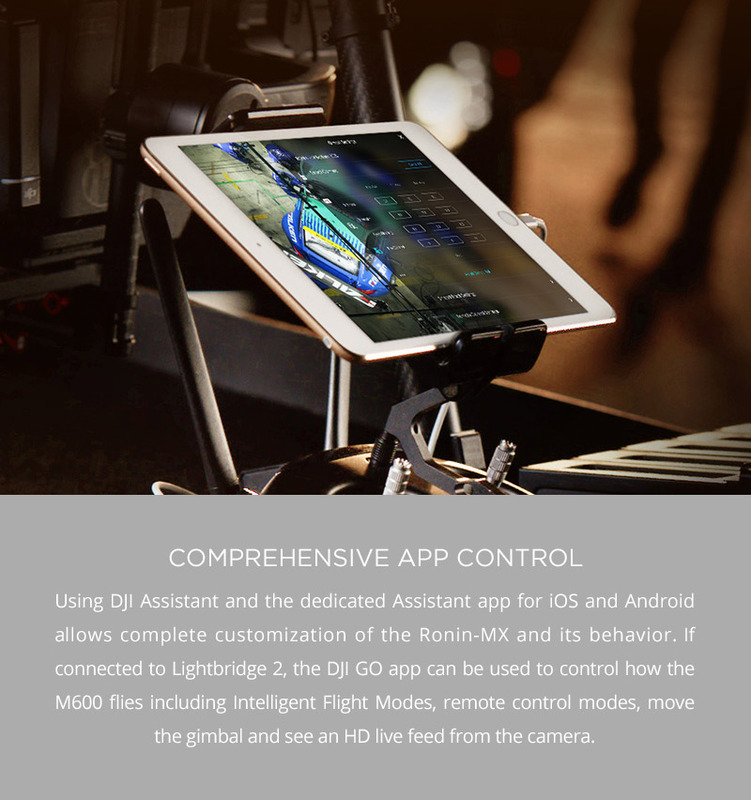 Camera profiles are also created for different cameras (i.e. 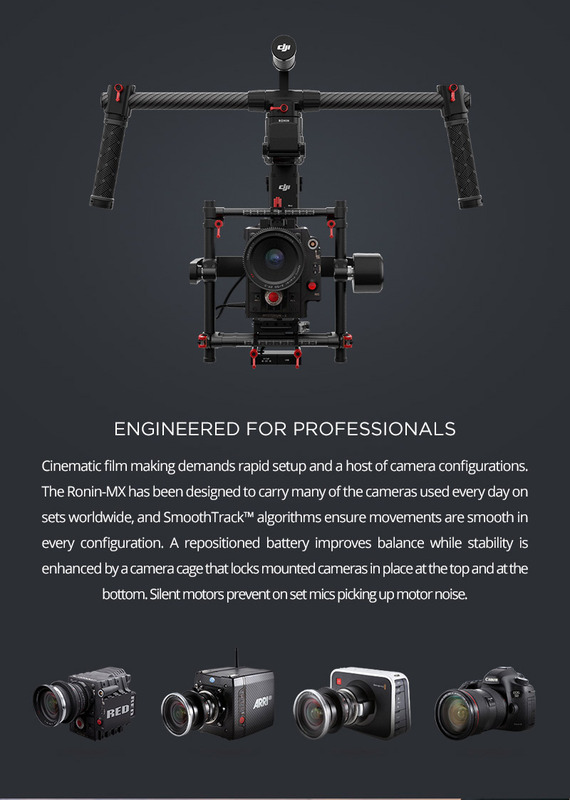 for RED and DSLR cameras), saving you time when switching between different cameras.